Published in the Metro Section of the Sydney Morning Herald, June 29. 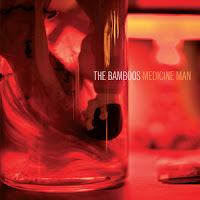 With fifth full-length release Medicine Man, Melbourne nine-piece The Bamboos have delivered a mixed bag. The raw funk and real, old soul they exuded in their early days is still prevalent, but it seems to play second fiddle to a slew of pop-esque numbers which lack the urgency and rough-edged realism of their counterparts. Whether or not the band are making a run at a more accessible sound I don’t know, but where this record really shines is in the funky grooves and heavy beats of tracks like ‘I Got Burned’ featuring a falsetto-singing Tim Rogers, ‘Cut Me Down’ and ‘What I Know’, both with vocals from powerhouse Kylie Auldist. In comparison, the rest of the record seems like filler which, while finely executed, has nothing on the funk ‘n’ soul. Published in the August '12 issue of Tracks magazine. 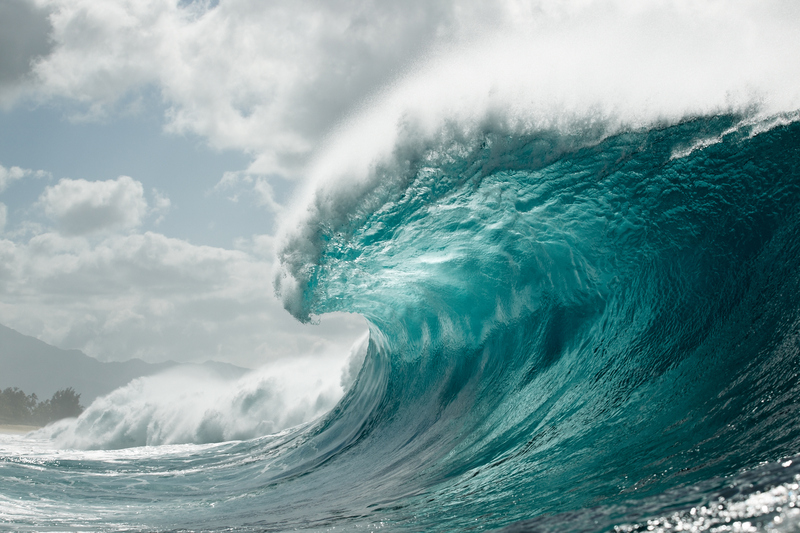 “Surfing evokes in us a deep connection with our soul and identifies something that is beyond imagination, beyond words,” writes Morning Of The Earth director Albert Falzon. It’s a sentiment which sums up to a tee the feeling, the essence, the spirit captured in his groundbreaking cult film which February just gone, celebrated its 40th anniversary. Hawaii, early this year. Pic by Jon Frank. As he wrote those words, not too long ago, Falzon was embarking upon a new journey, one which for a lot of people has been a long time coming. Along with fellow acclaimed surf filmmaker Andrew Kidman, Falzon has begun work on Spirit Of Akasha, “a new film and soundtrack celebrating 40 years of Morning Of The Earth,” – essentially a film inspired by that other-worldly feeling you get when at one with the ocean, as expressed so truthfully and eloquently by Falzon four decades ago. Kidman is responsible for, among other things, the films Litmus (1996) and Glass Love (2006), and fronts The Windy Hills, who soundtrack surf films live, and who will contribute to the upcoming Spirit Of Akasha soundtrack. He was approached last year by Falzon and executive producer Chris Moss, but given he’s grown up with MOTE, he understandably had some initial reservations about the whole project. The question remains then, how do you go about capturing that? When Falzon made his film in 1972, professional surfing didn’t exist, the first pro surf event wasn’t held until around a year later – surfing is an industry now. As well, the original locations in Bali and Hawaii are vastly different to how they were four decades ago, the world is a different place. So can the Earth be born again? As far as content for Spirit Of Akasha goes, Kidman is tight-lipped, refusing to reveal which surfers they’ll be filming (“It’s part of the surprise,” he smiles), or which bands will be contributing to the soundtrack, almost as important a part of the film as the visual footage. Thus far they’ve spent time in Hawaii and the east coast of Australia, there are no plans to return to Bali. It’s an ongoing project, with a tentative release date of early next year, striving to re-capture a primal spirit which exists on an untamed frontier, within the confines of a tightly controlled, rule-fuelled world; perhaps one of the most primitive pastimes still available to a human being. “It gives to us love and beauty, unconditionally, and asks nothing in return,” Falzon writes. “When you ride a wave, you enter another zone, a place so peaceful and perfect, a place you know so well, a place beyond any realm in the outside world. Timeless and formless – where everything is so perfect – you want nothing else. 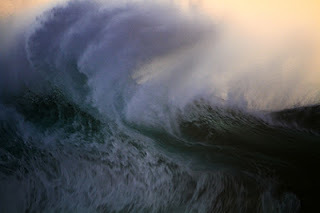 Riding a wave is the magnetic attraction that keeps us linked to other worlds.” Falzon caught this on film 40 years ago. It’s this spirit that must channel through to Spirit Of Akasha in order to keep it true, to keep the essence alive. …On The Changing Nature Of Fairfax And The New, New Dumb. We are the New, New Dumb. We hanker after news of any and all the classless, jabbering whores who dominate our TV screens, famous for being famous. We hang on every, “Like, you know, whatever”, and then tweet about it, putting it down to modern wisdom, a 2012 version of Confucius in stiletto heels and designer jeans. We’re the ones who will sit up, when asked about the state of the world, and murmur something about how, “We don’t got no problems with things”, before going back to half-baking in front of the latest in a never-ending stream of ‘reality’ television shows. We are the New, New Dumb, and we don’t care. And why should we care? And why should we know better? This sort of thing, whether it be on the small screen, in magazines or newspapers, or on the vast, soulless space that is the internet, is shoved down our throats, so much so that it has become the Norm, it has become Accepted, and so we wallow in our own mediocrity, mistaking it for razor-sharp awareness, We know the score. But we’re missing it all. The important stuff, the stuff that makes the world go around, despite all its shortcomings – The Business, if you will. The carbon tax. Mining royalties. The National Broadband Network. The National Cultural Policy (arts and culture in general, no doubt). Important things that will affect the way we live, not just in the near future, but far beyond, playing hard upon the lives of our children, their children, their children in turn. It’s happening, but no one notices – news like this bounces and rustles across the collective national consciousness with all the impact of a Ben Affleck movie, lost without a trace. We are the New, New Dumb, and we don’t care. On Monday afternoon, Fairfax Media announced they were set to cut 1900 jobs over the next three years. They announced they were to revamp the SMH and The Age into tabloid (or “compact”) format from March next year. They announced the possible closure of both their Melbourne and Sydney printing plants, hinting at the fact the two aforementioned titles would go completely digital within two years. And they raised the idea of erecting paywalls around their news websites, as a result. Meanwhile, the whores carry on unchecked, their antics and their rhetoric becoming more and more outrageous, so much so that we crave the hit even harder, the comments on forums and blogs and even news sites, inundated with mundane observations on what isn’t happening. And so, as if the Real Stuff needed to be buried even deeper, we now have the threat of less journalists, which means less real news – and the New, New Dumb, the only ones with any confidence at all, grow fat on a diet of nothing substantial. Knowledge isn’t power, Kim Kardashian is. The fact the SMH and The Age will move to tabloid format is irrelevant. The closure of printing plants and the ultimate demise of physical copies of these newspapers is not irrelevant, but is another story for another time. The core issue here, the one that hits hard at the heart of a society on a Fast Train to Slow Town, is the job losses (allegedly 20% of the 1900 jobs will be in editorial at the SMH, The Age and the Australian Financial Review), the loss of hundreds of journalists, editors, subbys and what have you, who up until now have been reporting in a classy, professional manner. There’ll still be the same amount of news, but there’ll be less people covering it, and there’s only so much a few can do. Particularly when faced with the growing apathy of an over-indulged, under-stimulated population. So what’s to be done? Where can we turn? What is the fate of democracy in this country? 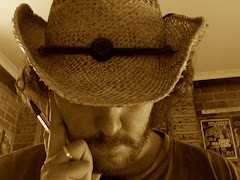 Added to this is Australia’s richest woman, Gina Rinehart, a woman with a very blatant agenda of her own, looking to worm her way into a position of editorial control on the Fairfax board – what is the fate of independent journalism (given Fairfax is a large corporation, I use that term loosely…) if this is what’s Happening? Weep for us, I say. Weep for us and wail and cry, flail your arms and bemoan the future, a future run by those who don’t look any deeper than the scum which continues to clog the surface, obscuring all below. Private health cover, mineral booms and arts funding? That’s boring, nothing, it doesn’t even register. We are the New, New Dumb, and we don’t care. To be published in the July issue of Rhythms. As the man himself proclaims on self-penned opener ‘Dislocated Boy’, “All I need is my old guitar, and I’ll play you the best damn blues” – therein lies the edict that sums up Driving Towards The Daylight, the 13th studio record from blues/rock titan Joe Bonamassa. For this is what it purports to be – a back to basics blues record, and to an extent, that’s exactly what it is. But, for those of us who mainline this sort of business, we know better, for Bonamassa, with his penchant for rampant technicality, can hardly find himself going back to ‘basics’. Basics, for him, blow the rest of us out of the water. 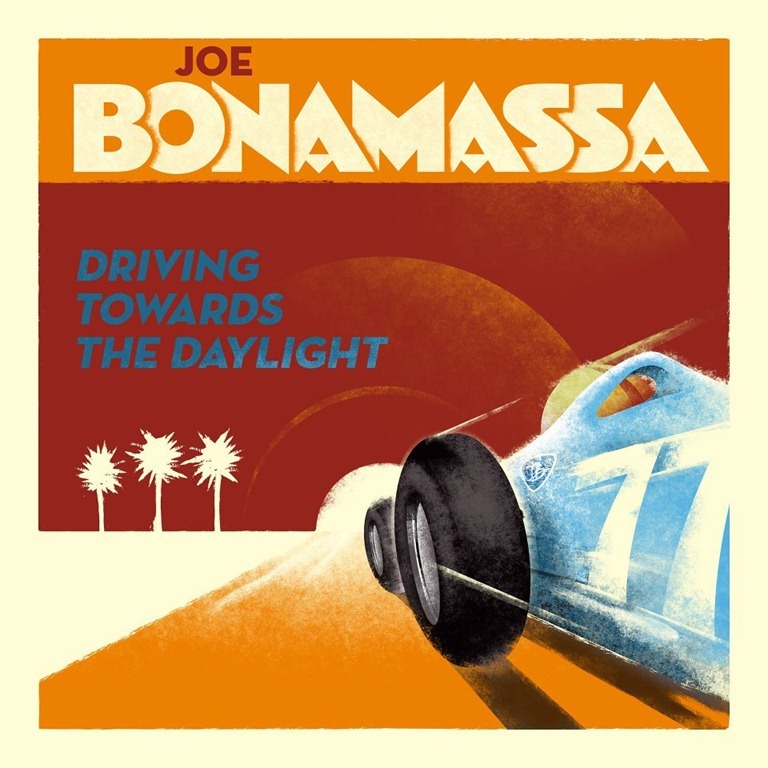 So while this one isn’t a stripped back, raw blues record in the greater sense of the phrase, it is for Joe Bonamassa in that it isn’t an extravagant blow-out of a record, as many of his previous works have been. As well, over the past three or four studio productions, Bonamassa has been making a conscious effort to put more into the songwriting and arranging of the songs, as opposed to the ‘epic guitar’ side of things, which he is of course, a master at. As such, while Driving… does indeed let loose with some extremely fine guitar histrionics, it’s ultimately very thought out, it all fits and there’s nothing there purely for the sake of flash. He’s not the best songwriter around by any stretch (there are four originals on here, none of which light up the songwriting sky), but he’s put a lot of effort into it, and I can appreciate that. As all good blues/rock should be then, this record is very riff-based. The ZZ Top-esque buzz of Buddy Miller’s ‘Somewhere Trouble Don’t Go’; the stoner rock feel of aforementioned opener ‘Dislocated Boy’; the fuzzed out jangle of Robert Johnson’s ‘Stones In My Passway’ (nigh on unrecognisable to the original, but with some tasty slide guitar) – all have you nodding your head, feeling the power and blues nous Bonamassa is channelling through this music. The title track and Bernie Marsden’s (Whitesnake) ‘A Place In My Heart’ deviate from the form somewhat, a little too mellow to intercede where they do, but ultimately, this is blues/rock on steroids, but having taken several valium at the same time. Make sense? There’s also a solid, albeit safe, version of Howlin’ Wolf’s ‘Who’s Been Talking’, plus a version of Jimmy Barnes’ ‘Too Much Ain’t Enough Love’, featuring none other than the ebullient Mr. Barnes himself. It’s a solid version of the song, finishing off what is a solid record from Bonamassa, seeing him toning it down, ripping it up, getting back to his roots, even though for us mere mortals, those roots are pretty epic in their own right. A good one to start a party with. Published in July issue of The Big Issue. The song is my boss, Atlanta singer Kelly Hogan has said, referencing not only this new record but her artistic ethos in general. For if there’s one artist who’s really able to do a song justice, it’s Hogan, as she’s proven time and again. On just her third studio solo album in a career spanning close to two decades, the idea is no different. Yet with the exception of ‘Golden’ – a note to her close friend, singer-songwriter Neko Case – all the songs have come from other sources, including Andrew Bird, M. Ward, the Magnetic Fields and Vic Chesnutt. But this isn’t merely a covers record. 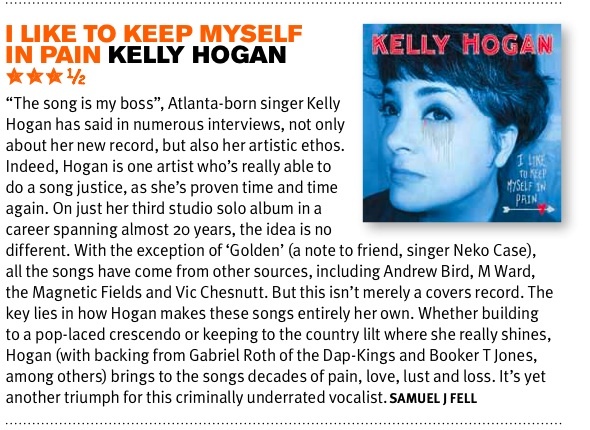 The key lies in how Hogan makes these songs entirely her own. 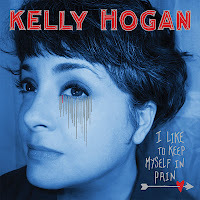 Whether building to a pop-laced crescendo or keeping to the country lilt where she really shines, Hogan (with backing from Booker T and Gabriel Roth of the Dap-Kings, among others) brings to the songs decades of pain, love, lust and loss. It’s yet another triumph for this criminally underrated vocalist. With the release of a new record apiece, Ash Grunwald and Xavier Rudd discuss the adolescence of contemporary roots music in Australia. Within the space of a week, I sit down in Brunswick Heads with Ash Grunwald and Xavier Rudd. First of all, on a sunny Thursday, at the health food shop, I speak with Grunwald – he’s bouncing off the walls, he’s excited, he’s full of insight and chat and has just come from the beach where he was surfing with Rudd. It’s a tight-knit musical community up here, they all hang out together. Exactly a week later, I’m sitting in the park opposite the pub with Rudd. He’s going surfing after our interview, and he too is in an ebullient mood, more than happy to talk, to really get into where his music comes from. He’s barefoot and looks like he hasn’t shaved for a couple of weeks, but he looks content, and says as much, saying he’s found peace over the last short while, and it shows. These two artists, both stalwarts and innovators of the roots music scene in Australia, are similar in so many ways: they’re both avid surfers, they both draw from the blues and old American folk music, they both live for the healthy lifestyle offered up by this part of the world; the outdoors, the sun, the surf, the love of life in a place where music is as much a part of the makeup as industry and infrastructure. But they’re so different in other ways. Grunwald is a lot more logical and ordered in his approach to making music, whereas Rudd acts more as a conduit for his musical ideas, saying “I’ve never actually sat down with the purpose of writing a song”. Grunwald intentionally adds more to his music, seeing his musical evolution as something that he has shaped, whereas Rudd’s evolution is “just how it happens”. 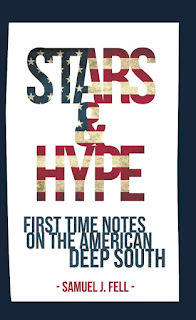 They’re so different then, but their music has had the same result – it’s been responsible for turning a younger generation of music lovers onto roots music (or various aspects of), and it’s music which has captured hearts and minds the world over. And so it’s refreshing to see them sitting, barefoot and fancy free, in little ol’ Bruns, chatting excitedly about their new records, about life, about roots music in general. It’s real. 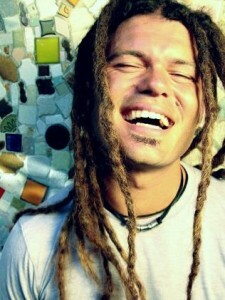 Rudd has just released his seventh studio record, Spirit Bird. Grunwald, similarly, has just released his sixth, Trouble’s Door. Both albums are different from their predecessors and both see these two artists stretching even further, yet another boundary reached within the wide-ranging confines of roots music, something both these artists strive to do with every new release – another similarity. Calling it the ‘confines’ of roots music is hardly a phrase which rings true however. In both interviews, we talk about roots music being just that, the roots, a starting point from which things grow, branch out, evolve, there are no boundaries. Grunwald, for example, began as a straight up bluesman, but over the years has successfully introduced elements of hip hop, soul, and with Trouble’s Door, dub, to his mix, whilst still staying true to his beginnings. Roots music, technically, is the base, the ‘old music’. The blues, jazz, folk, world music, basically anything and everything covered within the pages of Rhythms. Rudd however, takes this notion a lot deeper, likening the term more to his roots within music, as opposed to the roots of music itself. “I like the term roots music,” he muses. “All my career, people have been trying to pigeonhole me. That was always the question, ‘What do you do, what style?’. So when the term roots came along, in my mind I thought, ‘Yeah, that’ll do’. To me, roots is the root of my tree, it’s the roots, it’s beneath the earth, not above the earth of what the music industry is, what the music is. It’s what you don’t see. If you were to listen to Rudd’s 2002 debut, To Let and then his new one, Spirit Bird, this reference to feeding his roots becomes obvious; the difference in these two bookending records is marked. There are the obvious differences, the improvements in musicianship and songwriting, but then there are the differences that come with said feeding. To Let was simple and elegant, fuelled by American folk music with an Australian twist. Spirit Bird, by comparison, is heavily layered and brings in elements of African percussion, samples, reggae and soul. Rudd’s roots have been hungry, and he’s not been shy about nourishing them. Ash Grunwald’s roots journey seems to have been a more simplistic one, although no less enigmatic. He sees roots music in the more literal sense, the aforementioned ‘old music’, which is obvious when you listen to how his own music has evolved since his debut, Introducing Ash Grunwald in 2002, which was essentially a blues album. At the same time though, he’s been consciously pushing it forward. 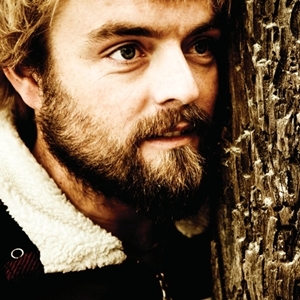 As early as Give Signs (2006), Grunwald was introducing hip hop beats into his bluesy grooves (“I was mucking around with beats and blues, like, five years before my first album,” he laughs) – by the time he got to Fish Out Of Water (’08) and Hot Mama Vibes (’10), it was just a part of his sound, barely worth commenting on anymore. As the pair of them have continued along on these musical journeys then, they’ve been joined by countless others, fans, people who have connected with this music, and as a result, have delved back through parents’ record collections and found the early players, the ones who influenced the likes of Rudd, Grunwald, John Butler, The Waifs, Blue King Brown and The Audreys, all bands who played a part in the roots music ‘movement’ from early this century. 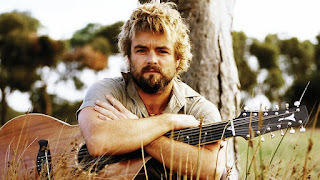 The introduction of an old music through a modern take on it is an interesting concept, one which seems more apparent in roots music than any other form, particularly in Australia. The modern take is, to be honest, a very mainstream take, but it’s one that has true beginnings, and people like Rudd and Grunwald see that, acknowledge it, revel in it, and, happily, pass it on. Xavier Rudd's Spirit Bird is available now through Universal Music. Ash Grunwald's Trouble's Door is available now through Shock Records.